Pyramid-style roof designs are extremely wind-resistant and create the possibility for some really interesting attic spaces. 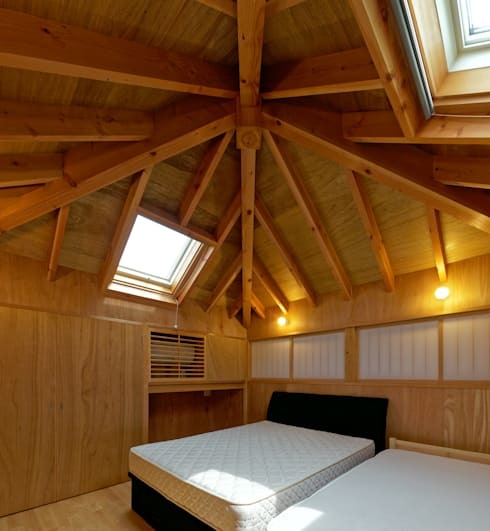 In the dwelling we will explore today, you'll see that a pyramid roof can also be used to create some stunning exposed timber ceiling features. Pyramid roofs are hip-style roof designs that come to a single peak at the top, and slope down to reach the walls of the home without gables. They do cost a little extra to construct, but they add a lot of verve to any design. Here we can get a sense of how much space it creates in the attic area. 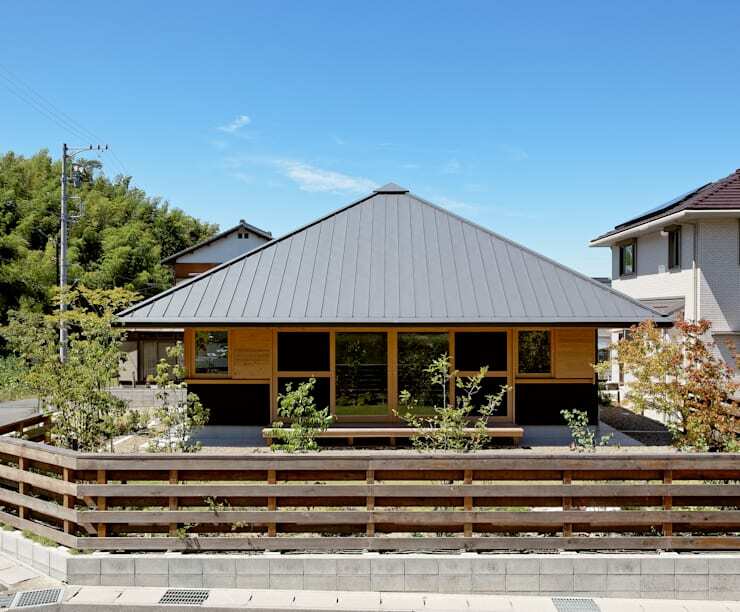 Also, note the typically Japanese natural and neutral hues of the timber exterior. The soaring roof really draws your attention inward, and shows that this is a home with a very private feel. Nevertheless, it also had a smooth and seamless transitional point to the outside deck. Here it's created with a large opening that may have bi-folding doors or screens. The doorway completely opens up to allow an unimpeded flow of light and life into the home. 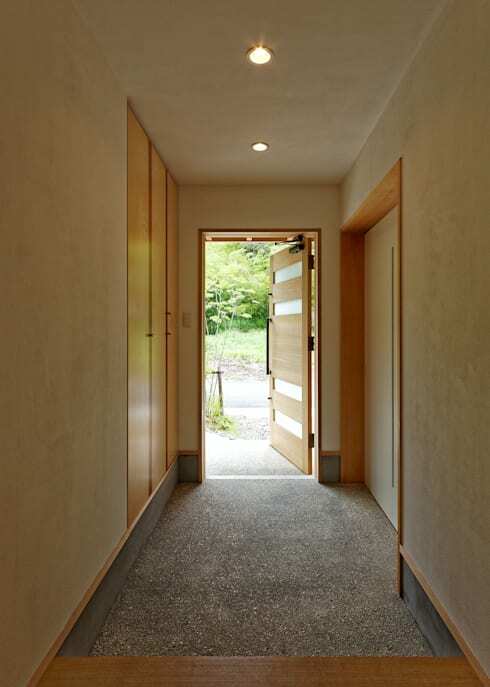 The hallway entrance has a minimalist design and wide proportions. It has also been set at a lower level than the rest of the home. This serves to form a genkan-style Japanese entrance. This sunken area would be used to greet guests, remove shoes and mark the boundary between private and public life. The central peak of the roof has been used to create a private sleeping area on the upper level. This could easily have been turned into a big open and impressive mezzanine. Instead, we have a partially closed mezzanine that feels quite humble. The volume receives additional natural light through a couple of narrow sliding paper screens. 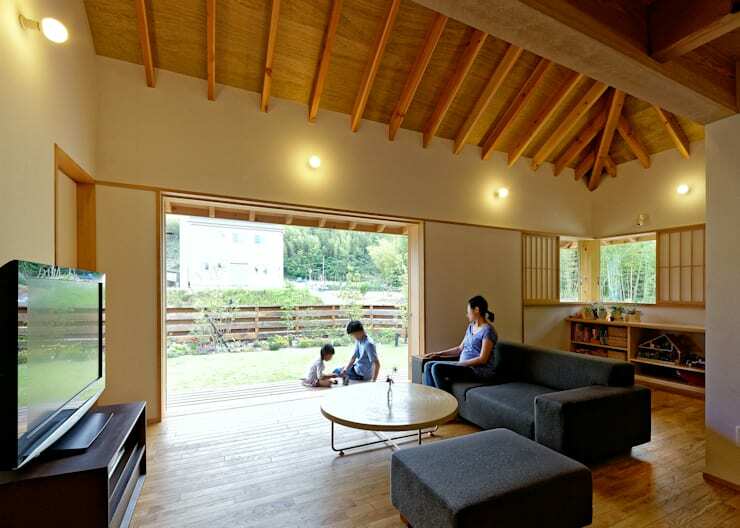 The exposed beams of the wooden roof are the real highlight in this home. Here we can see how they infuse the space with a natural appeal. The magical combination of wood and white has been used quite well here. It definitely eliminates the need for decorations in this rather minimalist living room. Also, take a glance at the lowered roof height in the kitchen. The drop in height serves to create a boundary in the open-plan layout. Here in the bedroom, we can see the great height of the peak in the roof. With the help of sloping skylights, we have quite a large and impressive bedroom. 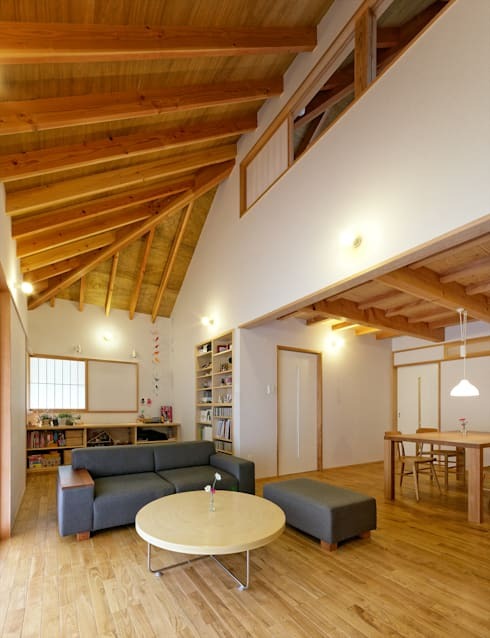 As in many Japanese homes, timber covers the walls, ceiling and floor. This adds a natural warmth to the space and gives the home a cool and calming simplicity. 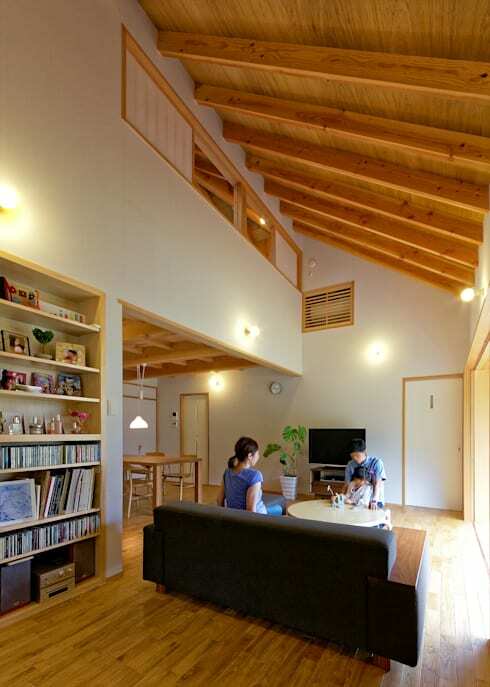 Have a look at another inspiring roof design here: A retired couple's modern but comfortable home. What do you think of the roof design here?